Here we share a useful application for the Nokia Lumia users. Windows Device Recovery Tool For Nokia Lumia is the best software recovery tool for the Lumia users. The tool is avail for free and the tool is developed by the Nokia phone developers. Nokia Software Recovery Tool helps you easily repair or resetting your Windows-based Nokia phones. When you come to use the Windows Device Recovery Tool you can explore the easy and user interface setup with several options. During installing it takes just a few seconds to save on your Computer due to its small size. The tool helps you to repair and software issues on your Lumia Phones. Most of the software issues are solved by Nokia Software Recovery Tool and if its skips any issue so you have to visit the Nokia service center. The Nokia Software Recovery Tool can solve those software issues which is not solved by any other tool. The tool also helps you to know the basic information of your phones such as the phone name, model number and the software version which is installed on your phone. After installing this tool on your PC, you need to connect your phone to the PC using a USB Cable and wait till the software scans your phone and display your phone details. After successfully connect your phone to the PC you are able to work with your phone. Install the correct USB Driver of your phone before connecting your phone to the PC. Before starting work on your phone just take a backup of your phone data because after resetting the phone your all data will be erased and you are unable to recover it. 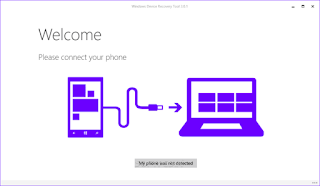 Download Windows Device Recovery Tool from the given download link below just click on the link and the download starts. 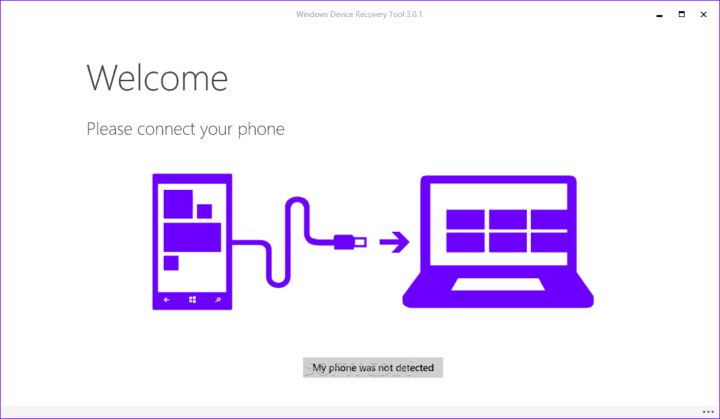 0 Response to "Windows Device Software Recovery Tool v3.0.1 Free Download"